Amber: An orphan gray duiker (small African antelope). 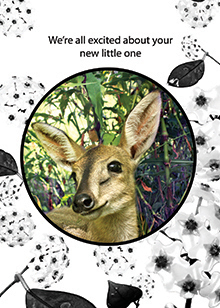 She was released to a South African reserve with her friend & surrogate mom, a duiker called Anna. "We're all excited about your new little one"